The magnificent Palais des Papes or Popes Palace in the medieval city of Avignon in Vaucluse, Provence, France in Europe. 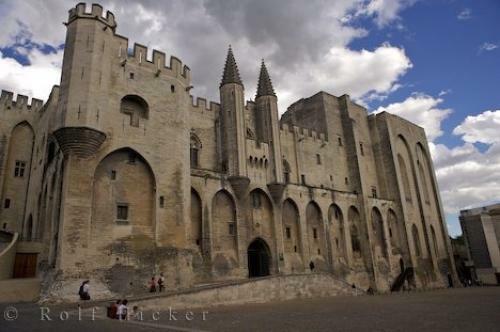 Photo of the Popes Palace, Palais des Papes in Avignon, Vaucluse in Provence, France, Europe. ... It is recommended using the audio-guide included in the price of admission to the Palais des Papes as the huge stone halls may be confusing.Palais des Papas along Place du Palais in the medieval city of Avignon, Vaucluse, Provence, France, Europe.